One of the aluminium industry’s major goals continues to be the production of metal in a manner that emits the smallest carbon footprint possible. Man-made climate change has become an ever more critical issue, and many of the major players in the global aluminium industry have taken the initiative and made great strides in limiting CO2 production in their smelting processes. At present, the global average of CO2 emissions for both virgin and recycled aluminium is 11.5 tons of CO2 per ton of aluminium. Producers in Europe and North America have led the charge in dropping that number, prodded on by the demands of consumers in those regions for responsibly sourced and produced goods. As a result, smelters running on hydropower achieve emissions of around two to four tonnes, while gas powered plants clock in at five to eight tonnes. Responsible aluminium production has never been more critical, especially in light of overall CO2 production, which is and continues to be on the rise. While other countries and regions are making a degree of progress in limiting overall CO2 emissions, India and China continue to lag far behind in the pollution reduction game. Just last year, India’s CO2 emissions grew at a faster rate than that of any other country on the face of the Earth, spiking by 4.8 percent on the year. The news was scarcely better on the other side of the Himalayas, with China’s overall increase in CO2 jumping by just over 3 percent last year. While the news from the East may be disheartening, major aluminium players in other areas are making promising breakthroughs on technologies and processes that yield ever-cleaner metal. Alcoa Corporation, Apple Inc., and Rio Tinto Group teamed up on a breakthrough process that emits pure oxygen rather than carbon dioxide, eliminating the latter entirely from the production equation. The process, which was formed under the aegis of a joint venture named Elysis, utilizes a proprietary metal to form the anode used in smelting, replacing the carbon currently used for the purpose, and therefore removing the element from the chemical equation entirely. Though the US$144-million investment in the process will not bear fruit until 2024, the firms say it will reduce CO2 production by 6.5 billion metric tons per year in Canada alone while dropping production costs by 15 percent. This new process promises the world, and the companies involved in developing it didn’t shy away from singing its praises, declaring it to be “the most significant development in aluminium in a century.” However, not all commentators were caught up in the reverie, with some pointing out that the process does naught to address other vectors for pollution, including toxic red mud waste, bauxite dust, waste fluorides, and spent pot linings. Meanwhile Rusal has developed a low-carbon brand ALLOW, which is produced with a carbon footprint of 4 metric tons of CO2 or less (scope 1 and 2 emissions at smelter) thanks to ample hydropower energy available in Siberia. The company is implementing a comprehensive green policy to reduce its environmental footprint. As part of that effort, on April 1, Rusal announced a program to take an even larger bite out of its carbon footprint by planting more than one million trees in Russia. The program, which is the country’s biggest reforestation program in history, will have 500 thousand new trees planted on 120 hectares in the Krasnoyarsk region and the balance distributed among several other areas across Russia. An additional 500,000 trees will be planted in other regions later this year. Rusal is also working on replacing the carbon anode with an inert one in the mold of the Rio Tinto, Alcoa and Apple initiative. Saying that the Russian company was not yet prepared to formally announce details of the process, executive chairman of En+ Group Lord Barker of Battle mentioned also on Monday that its recent delisting from the US sanctions list has loosened the fetters on innovation at the company. As a result, he expects that Rusal’s new process, which will be powered almost entirely by clean and renewable hydroelectricity, will go live by 2021. It goes in line with the recent news on starting the potline at Rusal’s Boguchansky aluminium smelter powered by the Boguchanskaya HPP. 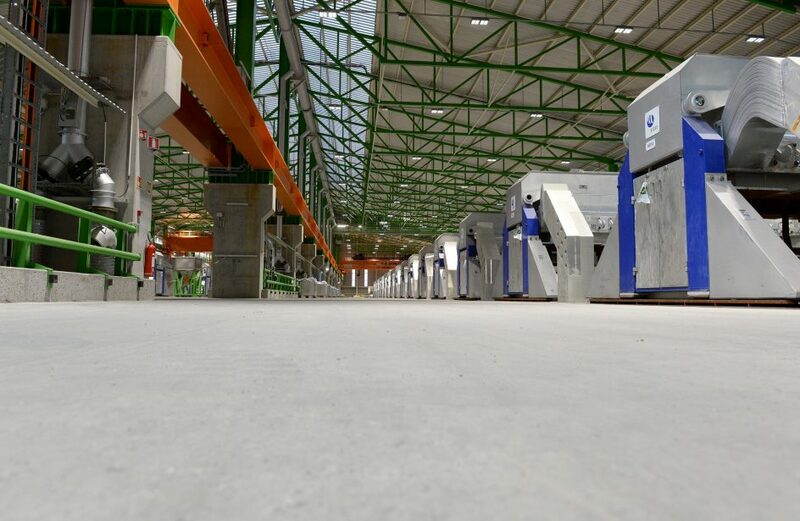 Another aluminium company that has been increasingly leveraging its ample supply of hydroelectric power to produce low-carbon aluminium is Norsk Hydro ASA. Noting that it too continues to face pressure from all quarters to make a greener form of the silver metal, Hydro has set its sights on becoming the first major metals and mining company to achieve a lifecycle carbon footprint of zero. Building upon its already-low carbon footprint, Hydro says it will bridge the remaining gap via a product mix that is focused upon sustainability. Company leadership says that the two alloys being developed have yet to translate into a competitive advantage for the firm, but it remains confident that increased global awareness of the benefits of low-carbon aluminium will make them attractive for metal buyers worldwide. The push to shrink the global aluminium trade’s carbon footprint will continue to be a pitched battle for the foreseeable future. The battle is far from lost however, as some of the industry’s heaviest hitters have waded into the mêlée and returned with tangible results. As the larger market recognizes the benefits of supporting low- and no-carbon aluminium, it appears all but certain that these pioneers of green innovation will continue to find themselves in an excellent position to reap the rewards of cleaner aluminium while winnowing down yet a smaller carbon footprint.